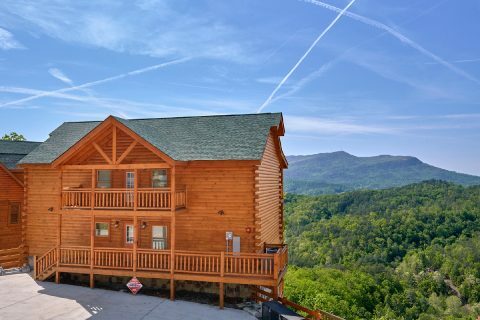 Nestled in a beautiful resort location less than 5 miles from Downtown Pigeon Forge, you'll find "Swimmin' In The Smokies!" 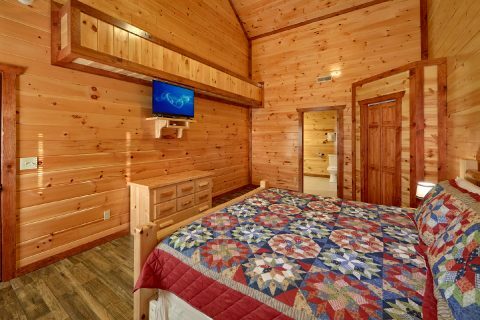 This premium 6-bedroom group cabin offers room for up to 12 guests and it also boasts an impressive set of amenities! 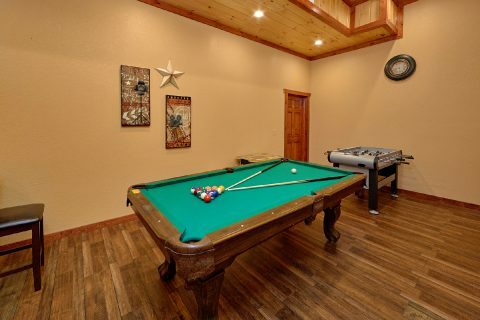 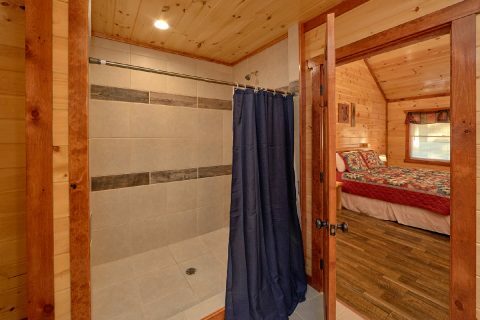 Of all of this cabin's nice features, the private indoor swimming pool really stands out. 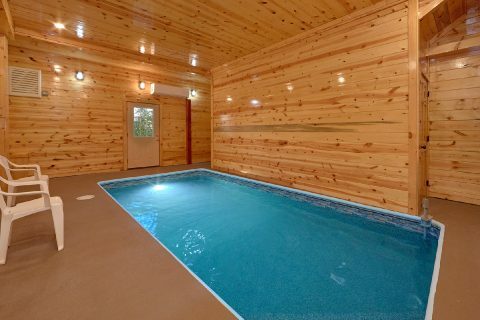 Not only does this cabin provide guests with indoor swimming year-round, but also you can enjoy this private pool all to yourself! 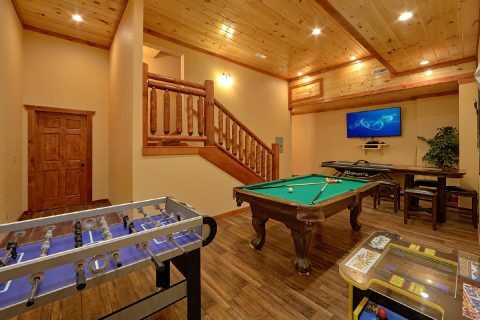 On top of this luxury amenity, guests will also enjoy this cabin's hot tub and a game room with a pool table and a foosball game. 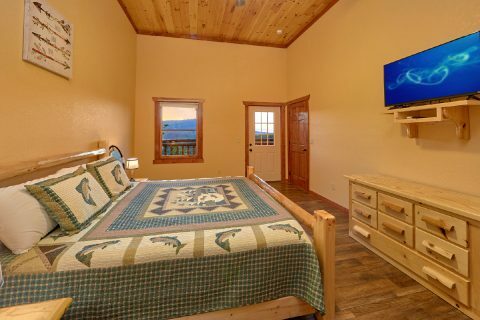 This room also features a flat-screen television, so you can watch the big game while you relax. 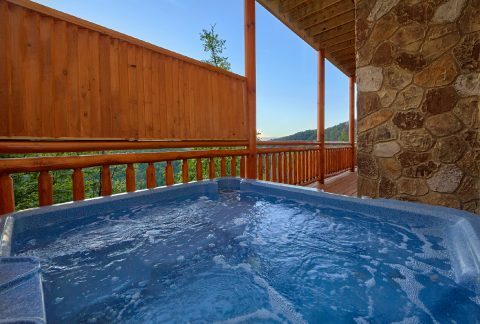 Lastly, this rental also boasts a nice mountain view to help you truly unwind during your stay! 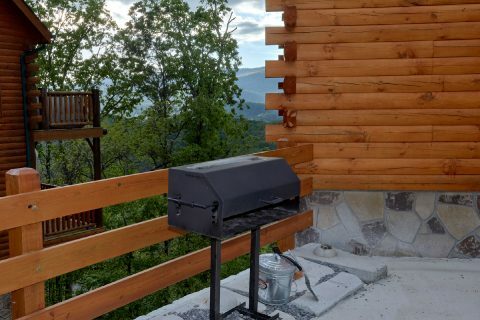 With your cabin's full kitchen and charcoal grill, you'll have everything you need to prepare tasty meals during your stay. 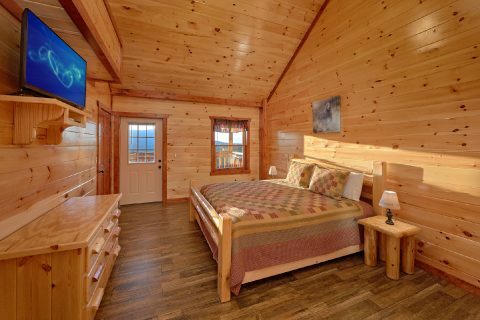 Your cabin also provides a gas fireplace and WiFi Internet for you to use. 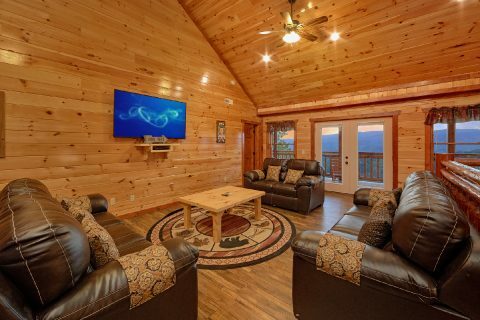 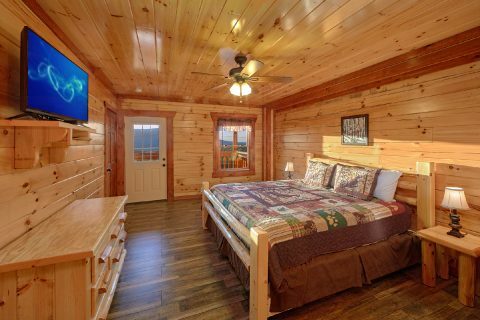 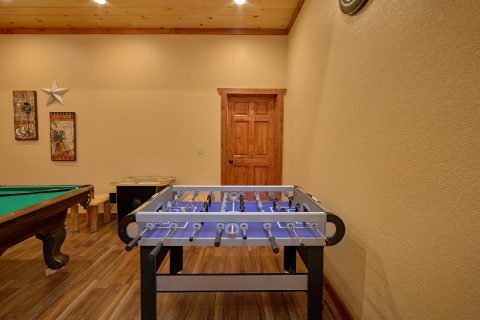 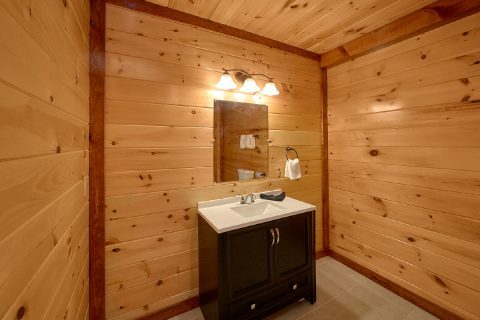 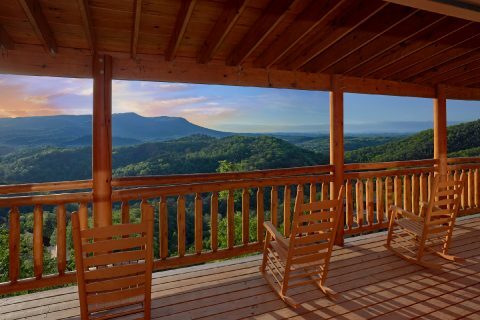 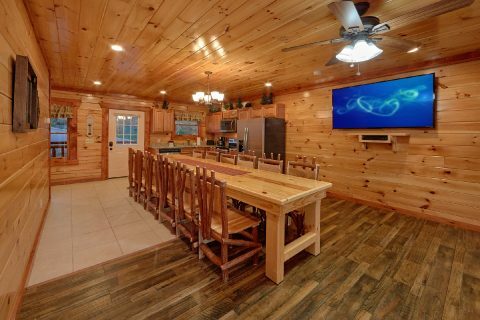 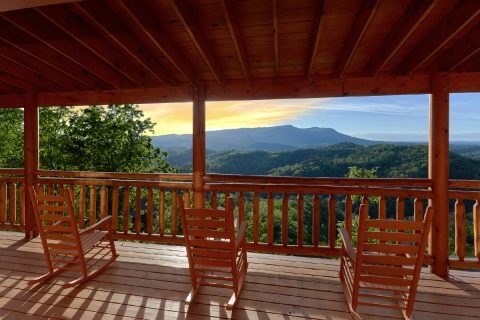 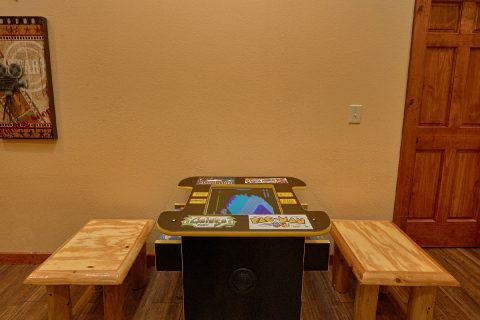 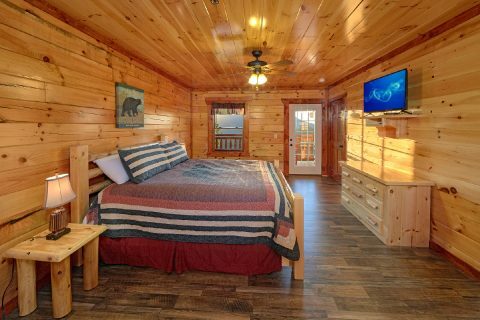 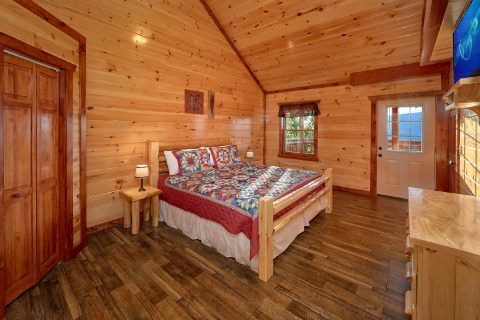 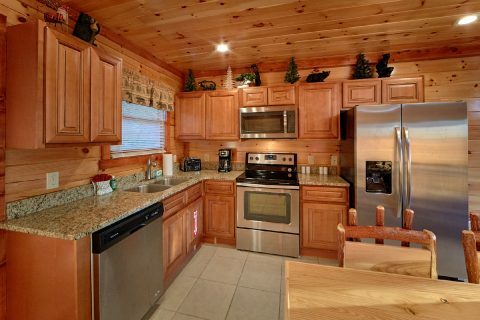 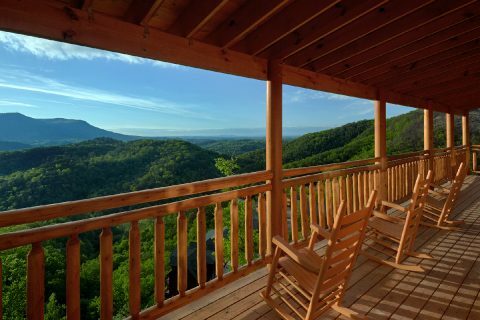 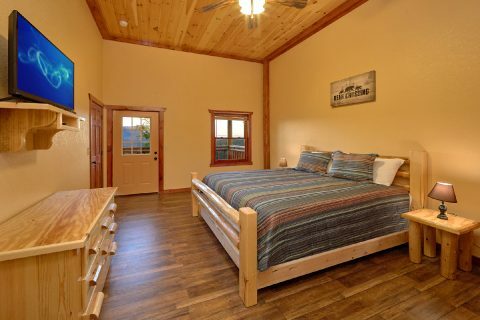 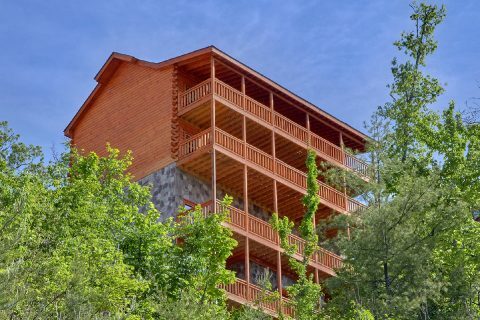 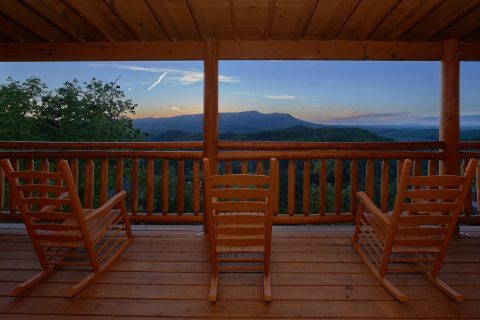 If you plan on exploring top local attractions like Dollywood, Downtown Gatlinburg, and the Great Smoky Mountains National Park, this log cabin keeps you close to all the biggest sights and attractions, since it's less than 5 miles away from the Pigeon Forge Parkway. 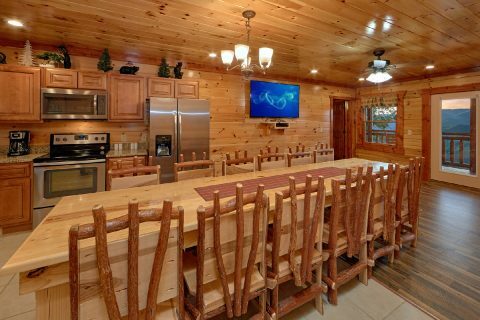 With room for up 12 guests, this group-sized cabin is just right for a big family vacation or a getaway with your friends! 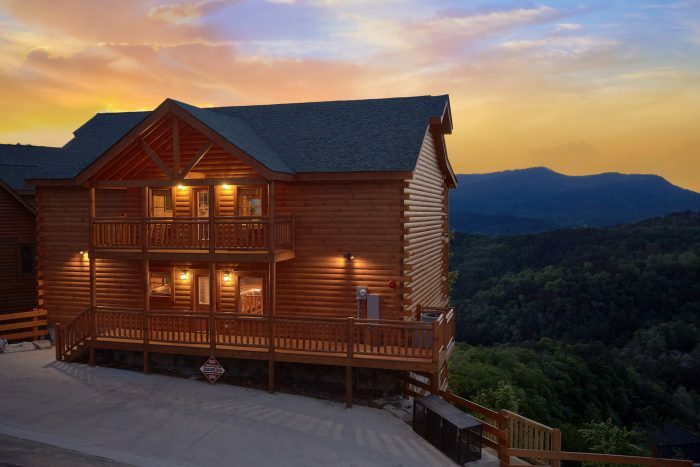 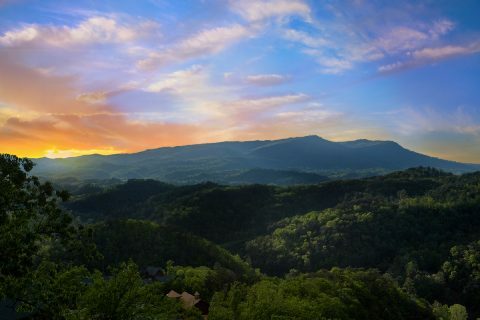 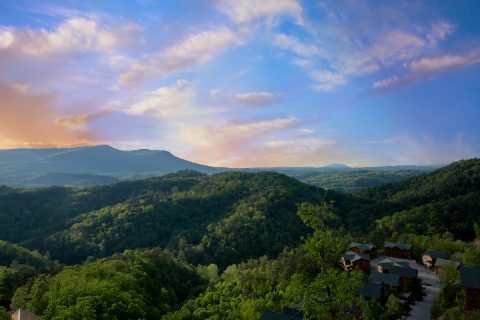 Book "Swimmin' In The Smokies" today with Cabins USA Gatlinburg to earn a special 15% discount on your nightly rate for your Smoky Mountain vacation!